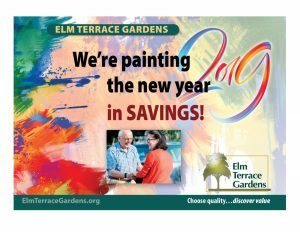 There’s a new choice for retirement living in Central Montgomery County … Dexdale Suites at Elm Terrace Gardens. Named as a nod to Lansdale’s industrial past, Dexdale Suites is an exciting independent living community for older adults interested in experiencing life, engagement and purpose. Our new independent living apartment homes are designed for the way today’s retirees want to live! Enjoy days filled with opportunities to connect with friends and discover new passions. After full days of activity, spacious apartment homes offer the perfect retreat. As a resident of Dexdale Suites at Elm Terrace Gardens, you’ll benefit from a fun, active lifestyle complete with a host of services and amenities. Home maintenance, scheduled transportation and activities are all included in life here – and residents can enjoy a variety of recreational activities, multiple dining options and a membership to the local YMCA. There’s always something fun to do – whether on campus or in Lansdale – and with our worry-free lifestyle, you’ll have the time to really enjoy life! Plus, because we’re part of Elm Terrace Gardens, a not-for-profit Life Plan Community with a well-established reputation for providing quality lifestyles and care, you’ll have security for the future if health needs change.